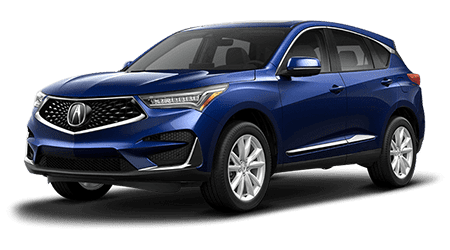 The Acura RDX satisfies the needs of a wide range of drivers, so whether you're looking for a stylish upgrade to your commute or are in need of a safe family vehicle, explore the RDX today. If you're eager to start discovering more about the RDX now, you can view our online inventory. You can also complete our online credit application so you can learn more about your financing options. Enhanced performance, technology, safety and driver assistance packages available for you to navigate. Our sales associates are up to date on the options available and are ready to go over the features pertinent to you. And other available passive and active safety systems. To enjoy a comprehensive, in-person look at the the new Acura RDX contact Lehigh Valley Acura to set up a road test. Our friendly sales associates will put you in the driver's seat so you can get a hands-on feel of all this car offers. Enjoy either the Acura Premium Sound System with seven speakers or the ELS Studio® Premium Audio System with ten speakers available in the Technology Package and above. Either way, you'll be able to experience USB Audio Interface, SiriusXM® Satellite Radio, with iPod®/iPhone® integration and Bluetooth® streaming audio. Bluetooth® HandsFreeLink® wireless telephone interface and SMS text message function are also included for those drivers who like to stay connected to their smart device as well as the road. Lehigh Valley Acura near Easton, PA eagerly awaits the opportunity to introduce you to competitively priced Acura RDX. Talk to us about your research or financing needs, and be sure to come back and see us when the time comes for an oil change or brake inspection. You can schedule your Acura RDX service online. We're here to assist you with all of your automotive needs, so contact our new and used Acura dealership in Emmaus, PA today! Be sure to reach out to our team if you're looking to enjoy a new RDX. Ask about our service specials and lease offers! We have all of the services needed to keep your RDX's wheels on the road in Emmaus, PA.